Tony Tebbe (Update 5/2013: still available) has these sounds available for download at his website. Hits and misses. At least six of them are very "huntable." 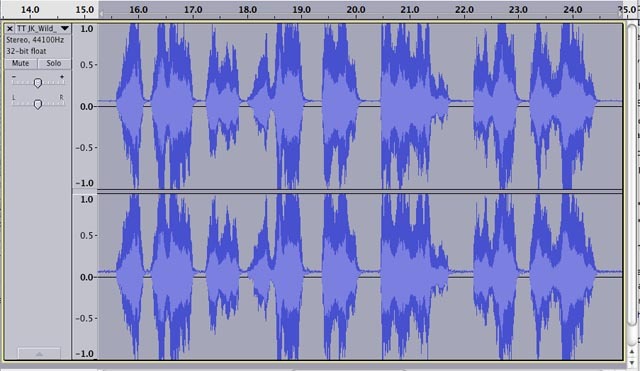 Some impulse artifacts were removed in Audacity. A couple of them have an 11 KHz sample rate, which is more appropriate for recording a speech on one of those little pocket pen voice recorders, not a wildlife recording. Technically, JK Wild Rabbit Fight (shown above) contains an ameteurish mistake, one that is easily corrected in Audacity. The zero line is not on zero, also known as a DC offset, and is guaranteed to make every caller pop when it's played or paused. The gain is a bit high in the loudest sections. On the upside, out of the mess come three notable files. 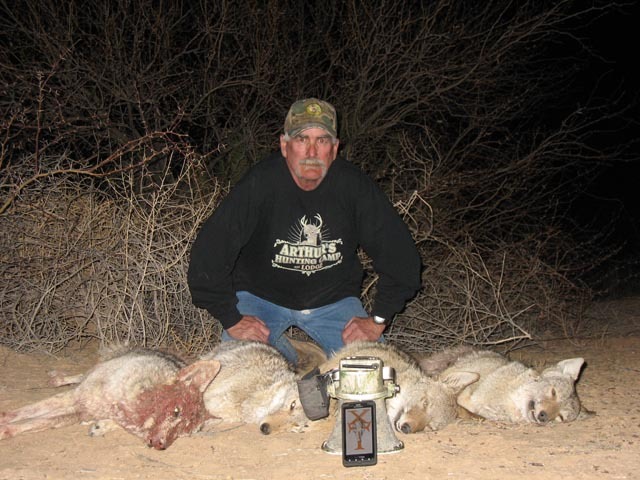 One claims to be breeding coyotes and it contains some quality yips and whines. The second is the feeding sound with a few snarls and yips. The third is a decoy dog - coyote interaction and that's a first, the only dog-coyote scramble I think I've run across from among more than a thousand sounds. It's a great idea since coyotes seem to drink a case of stupid around any little terrier. I doubt the sound is as effective as the real decoy dog, but it's going to raise a coyote's curiosity for sure. Hits and misses. Make sure you check out the *starred* sounds. They're free to download. Jim said at least some of these AZ coyotes heard some TT sounds in their last few seconds of life.